Summer in a pot: organic strawberries, raspberries, redcurrants and cherries, all juicy and sweet. It does great things for cheesecakes, pavlovas, Eton Mess and all the rest, but there’s no reason to restrict it to puddings – on a chilly morning it’ll perk up a bowl of porridge very happily. Organic strawberries (32%), water, organic raspberries (15%), organic red currants (10%), organic sugar, organic cherries (8%), organic tapioca starch, organic lemon juice concentrate. Totally delicious! Wish it was available all year. 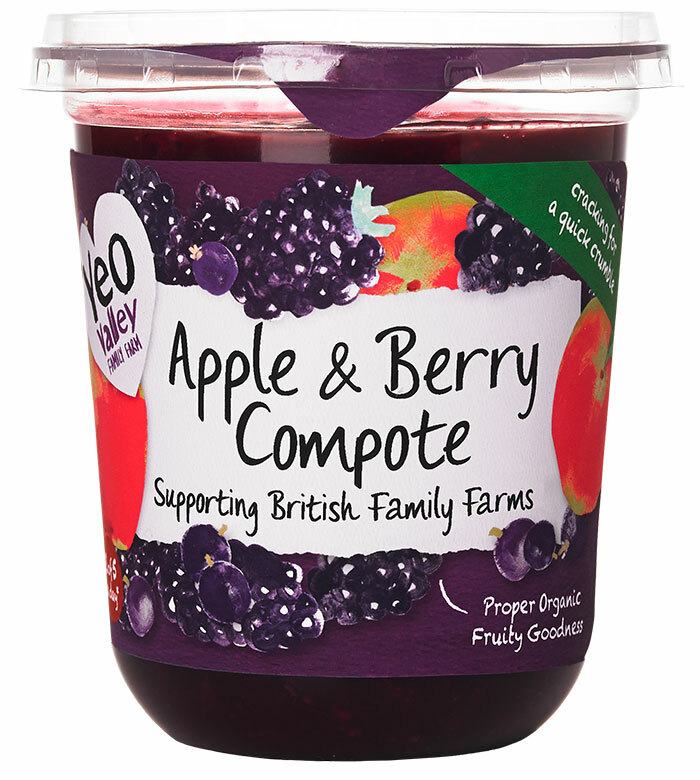 I check all the supermarkets but can never find it once the Apple and berry compote comes out. Mooooooo Hoooooo!